Monster Yamaha Tech 3 boss Herve Poncharal has spoken of his delight at signing Andrea Dovizioso for the 2012 MotoGP world championship. Dovizioso agreed a one-year deal with the French-based squad last Friday before he flew to Phillip Island for this weekend’s Australian Grand Prix, where the contract will be signed. Dovizioso has decided to quit Honda having spent his entire Grand Prix career with the Japanese factory in the 125, 250 and MotoGP class. 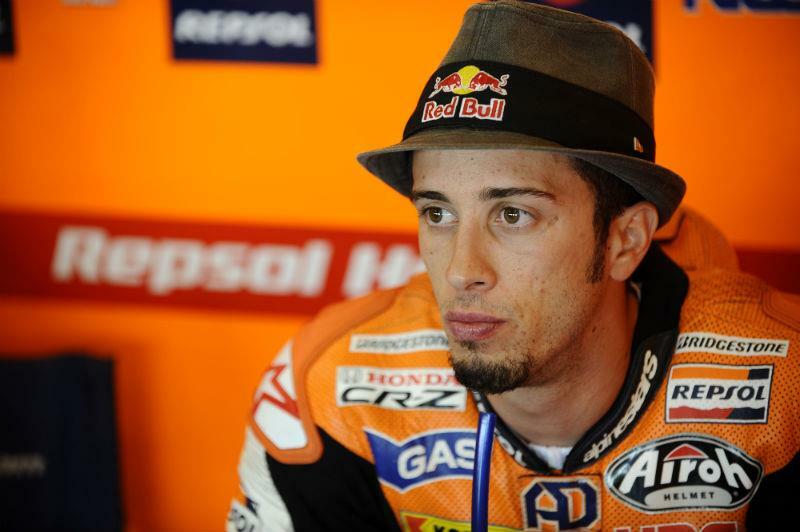 The 2004 125GP world champion will lose his place in Honda’s official factory team at the end of 2011, with HRC reverting back to a two-rider effort for the inaugural 1000cc world championship. He was offered a factory-supported RC213V machine with Lucio Cecchinello’s LCR Honda squad, but he has preferred to try and establish a relationship with a new manufacturer. Tech 3 had also offered factory Suzuki rider Alvaro Bautista a deal to join British rider Cal Crutchlow and Poncharal told both the ride would go to the first who said yes to the proposal he gave them at last month’s Motorland Aragon race. Poncharal set a deadline of last Friday to understand his 2012 line-up before heading off for the flyaway double-header in Australia and Malaysia and MCN understands that Bautista had declined the offer ahead of Dovizioso accepting the YZR-M1 1000cc ride. Poncharal said: "I am delighted that a rider of Andrea’s stature has decided to commit his future to Tech 3 and Yamaha. He is without doubt one of the fastest riders in the world who has proven on a regular basis that he is capable of challenging for the podium in MotoGP. I am thrilled that he trusts the Monster Yamaha Tech 3 Team to take his career to the next level and we can look forward to 2012 with high expectations. I am convinced that with Andrea and Cal we have one of the strongest line-ups on the grid in 2012 and both of them will demonstrate the potential of Yamaha’s new 1000cc machine." Further details of Dovizioso’s Tech 3 deal are likely to be formalised in Australia this weekend. Dovizioso’s early release from his HRC contract is expected to be granted by Honda management, clearing the way for him to make his Yamaha debut at the traditional post race test in Valencia next month. Crutchlow will also make his debut on Yamaha’s new 1000cc four-stroke in Valencia on November 8 and 9. Legendary Tech 3 engineer Guy Coulon is unlikely to be Dovizioso’s crew chief, with MCN understanding he will focus on other Tech 3 projects like the Mistral 610 Moto2 machine and a possible chassis project for MotoGP in the future. It won’t be a chassis though for the Forward Racing Team that Colin Edwards has joined. The Texan said he wanted Tech 3 to build a frame for a new privateer 1000cc project when he signed a deal in Misano. But Tech 3 confirmed to MCN at the last race in Japan that it had informed the double World Superbike champion it couldn’t build a chassis in the short time before 2012 testing kicks off in Sepang in late January.